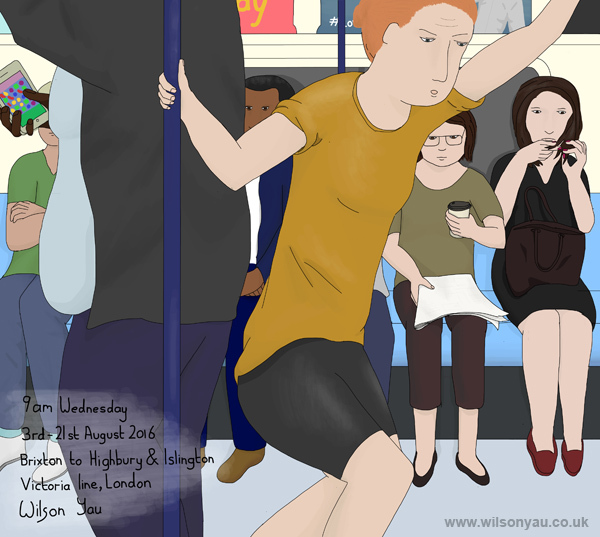 London is a big place and much of the transport is crowded. 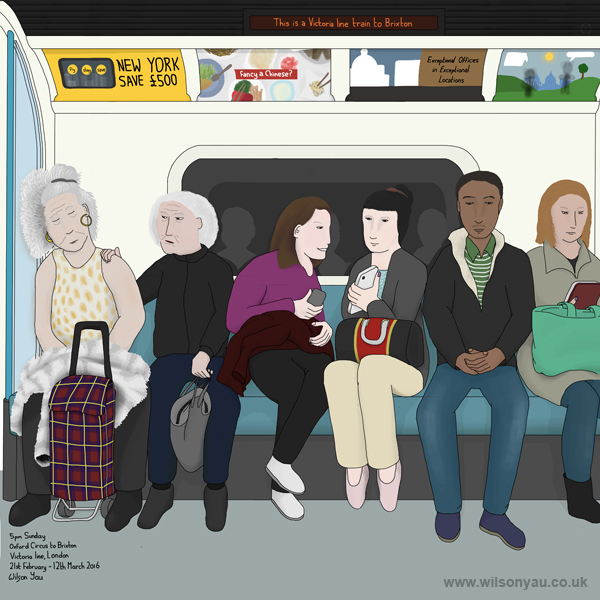 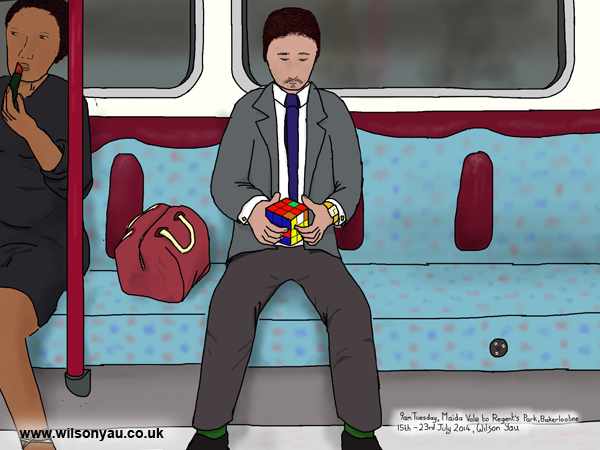 This was drawn during one part of a long journey (it took a Tube, a train and a bus) from my workplace in central London to Chingford to visit a friend – the return journey back home to south London was even longer. 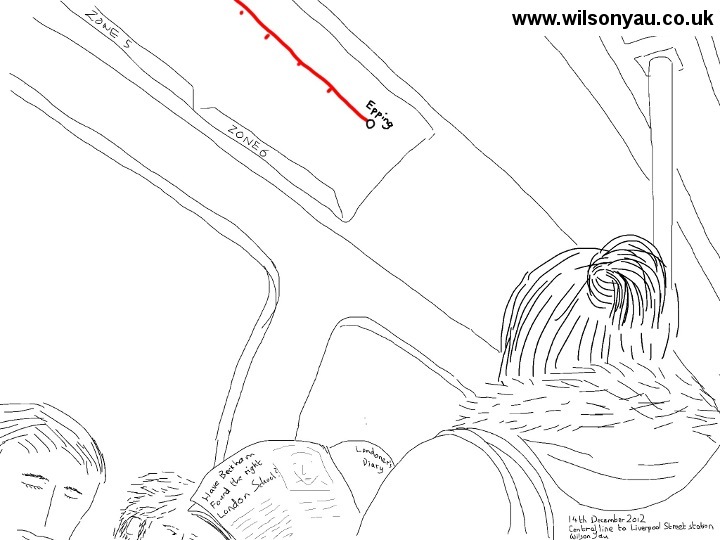 I made a rough sketch on my iPhone of what I saw on my relatively short journey on the Tube. 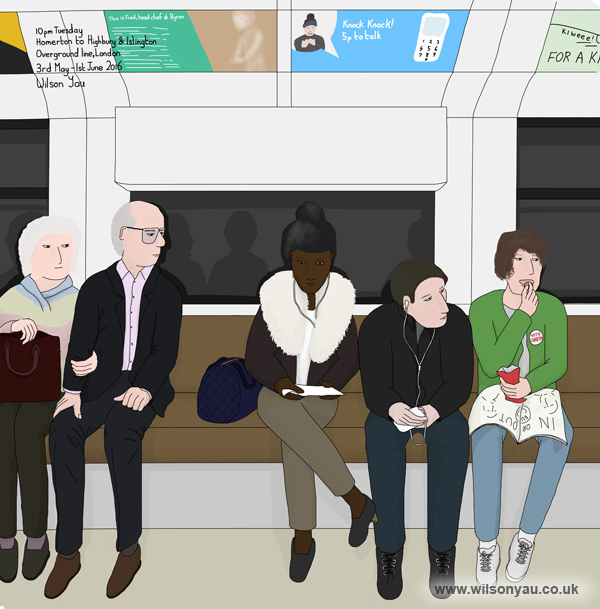 Once I had caught the connecting train service I had more time to go over over my sketch and add the details.